Kids seem to love playing with our electronics, and my son particularly loves playing with my expensive cameras. I finally decided to go on a search for a camera that he can use. 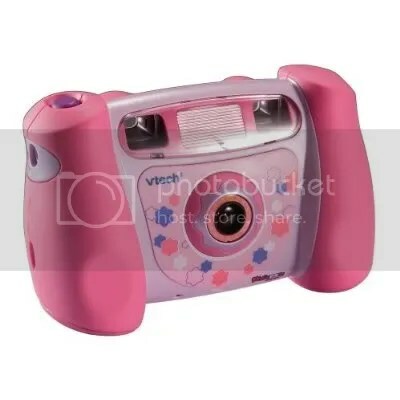 I researched several different kids cameras, and came to a stop on the V-Tech KidiZoom Camera. I was impressed by what I read about it and wanted to give it a try. The minute this great little kids digital camera arrived in the mail, my son was so excited. He immediately started using it and taking pictures of everyone! I wasn’t sure at first how great he would do since this camera says ages 3 and up, but he is a pro. Ofcourse we always have a camera flashing in our face, but he enjoys it. It has a 1.8″ color screen so they can either use that to take their pictures, or use the double viewer. It also has a slot for an SD card so that you can add more memory for your little one if you need to. So far, I haven’t had to include an SD card which is surprising since he is always snapping pictures. The KidiZoom Camera is perfect for those little hands to hold. This digital camera not only takes pictures, but it also does video and even has games for them to play. Below are a few pictures that son has taken using his KidiZoom Camera. This is solely the opinion of As They Grow Up. 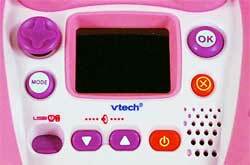 Other people may have different experiences with the product.Thank you to VTech for providing a product to test.